react to seeing Mosques, Palestinian homes and cars burnt and vandalized by price tag Jewish terrorists? How would the visionary leader who believed that the only answer to anti-Semitism was to create a national Jewish homeland react to seeing Jewish nationalists burning the property of non-Jews in the cause of building that state? 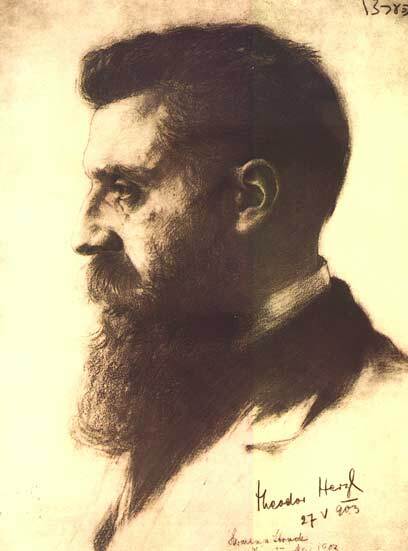 What would Theodor Herzl think of the country he founded being used as a platform to promote the kind of bigotry he wanted to save the Jewish people from? Haaretz photographer who tried to take photos of bonfire from up close, was attacked by settlers. Settlers in Hebron celebrated Lag Ba’Omer Saturday night by lighting a bonfire in an olive grove in the heart of the Palestinian neighborhood Tel Rumeida. The grove, which belongs to the al-Knibi family, is in the front of a house inhabited by the Youth Against Settlements center, an organization that documents settlers, soldiers and police in Hebron. The owners of the orchard and their children looked on with concern as the fire approached their olive trees, while the young Israelis who were celebrating burned the flags of the Palestinian Authority, Fatah and the team of international observers. The group, which began setting up the sound system right as Shabbat ended, played loud music, jumped around and sang as they passed around Palestinian homes, whose windows are protected by iron bars. Haaretz photographer Emil Salman, who requested to take photographs of the bonfire from close up, was assaulted by several settlers. A policeman who was there asked he leave the area for fear he would disturb the peace. A bit after midnight, a member of Youth Against Settlements called the police to complain about the music and the disruptions to residents. About 10 minutes later, the band stopped playing and several dozen youths remained in front of the dying fire. In the past the owners of the orchard have filed complaints with the police and the Civil Administration about the dangerous and unauthorized use of their land, but in vain. A Civil Administration officer requested on Friday that the bonfire not be prepared on the private land, but he was ignored. 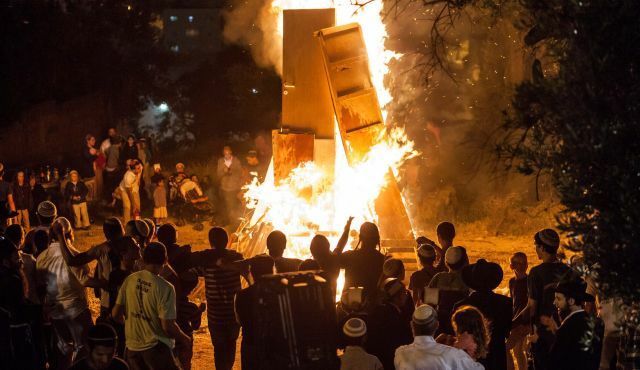 The residents of Hebron settlements began gathering trees and planks already on Thursday, and the foundation for the bonfire was prepared the next day in advance, so as not to desecrate Shabbat. The residents of Tel Rumeida say that the planks were taken from among the shops in the closed Palestinian market place. On Mount Meron, at about midnight, the traditional lighting of the bonfires of the admorim (leaders of Hasidic sects) and the rabbis began, and will continue throughout the day, in daylight. The tanna (mishnaic sage) Rabbi Shimon Bar Yochai, whose eponymous celebration is marked on Lag Ba’omer, was accustomed to disputes with other tannaim, but it is doubtful whether he imaged a dispute about the commemoration of the day of his death like the one taking place this year. Next Next post: Can Legislation Resolve a Mental Health Problem?